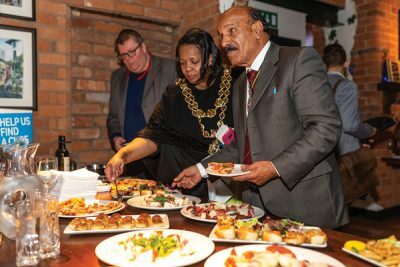 The Lord Mayor of Birmingham, Councillor Yvonne Mosquito, attended and spoke at the press launch for Birmingham’s first Parkinson’s UK ‘Secret Supper,’ organised by local Marketing and Advertising Agency, FRAHA, and Regional Fundraiser for Parkinson’s UK Birmingham and Black Country, Gayle Kelly. The event took place on Wednesday 13th February at popular Italian restaurant, Pasta Di Piazza, in St Paul’s Square, around which the Secret Supper event will take place on 9th April. Speakers from Parkinson’s UK and the Lord Mayor gave moving and insightful speeches about their personal experiences with Parkinson’s and with people close to them who are suffering with the condition. The Lord Mayor shared how much her father’s struggle with Parkinson’s affected his daily life and their collective family life. She shed light on the important work that Parkinson’s UK do for people and families suffering with a condition that “not many people talk about” but that we need to and should do. “Our lives are not just about ourselves, but about helping, inspiring and encouraging other individuals. Your money, but most importantly, your time, is really valuable to making a difference to people who are suffering with Parkinson’s” said Lord Mayor, Councillor Yvonne Mosquito. 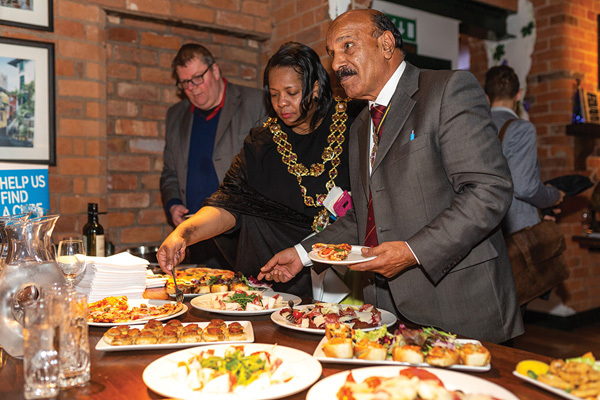 The Lord Mayor thanked and praised event organisers, FRAHA, and Gayle from Parkinson’s UK Birmingham & Black Country, for raising awareness for an important charity which offers vital and specialised support to people and families suffering with the condition. Barrie Smith, a volunteer and ambassador for Parkinson’s UK, also spoke at the event about his experience with the condition: “Parkinson’s is life changing; it affects you in many ways and seriously complicates your life. Guests were also treated to drinks and Italian food, all sponsored by Birmingham marketing agency, FRAHA, who are also sponsoring the Secret Supper drinks reception at the Jam House, along with Jewellery Quarter Businesses, Sonny’s Jewellery and Jones Davey Executive Legal Search Consultants. FRAHA are also providing media support throughout the lead-up to, and following, the Secret Supper on 9th April. The Secret Supper is a unique, multi-dining experience centred around the Jewellery Quarter’s St Paul’s Square, where guests will visit three different restaurants for three different courses, with the location of their meals being kept a surprise until the evening. 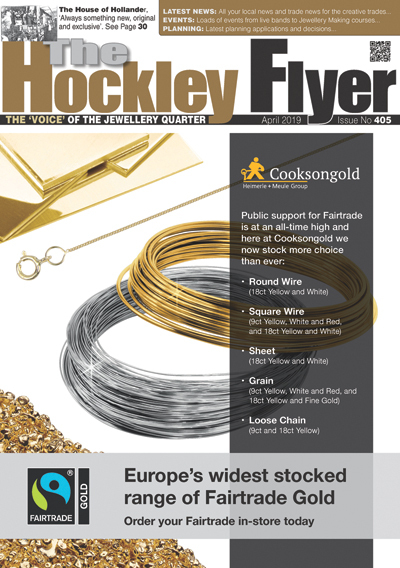 The second issue of the Jewellery.